I really appreciate this. I don't add high-resource deco to my game, but you are right, a little change is very nice. Thank you for thinking of us low-rezzers. Honeywell, these are amazing!! Putting them in my game ASAP!! Look nice Honeywell - glad you got them done. Your defaults look very nice, Honeywell. I will give them a try in my game, many thanks! PS. for some reason the "thanks" button wouldn't "take" so my thanks didn't get counted?? 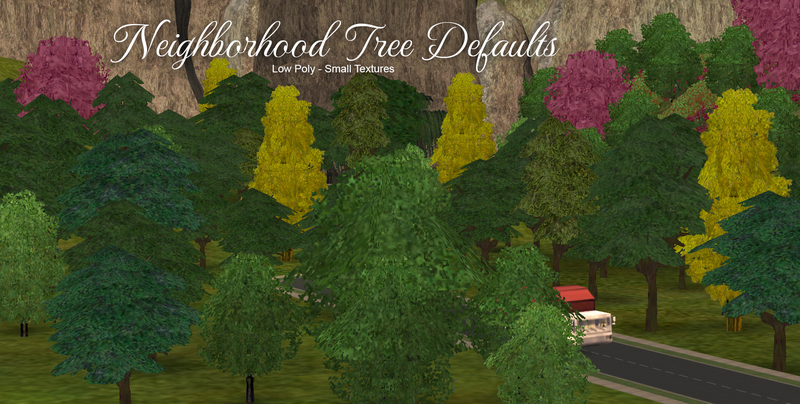 I've been using Lowedeus' defaults of Criquette's linden trees in my game. They're gorgeous and I love them, but they don't quite look right with the rest of the trees in my neighborhood. I think I'll switch to your oak trees. They look great and since they're part of a set, everything looks like it belongs together.